After a gruelling training schedule, it’s apparently a good idea to give your body a break to allow it to rest and heal. The idea behind this is to leave you refreshed for the race without having lost much in the way of fitness. The first time I ran Loch Ness marathon, I naively assumed that two days rest was enough. But then, I also thought a 17.5 and a 20 mile run was sufficient for my long run quote. Ha! Let’s all laugh at my foolishness. We’d all be beacons of success with hindsight, right? If you have time to kill, you can always go back and read the long version, but the short version is: my first marathon was a pain I’d never experienced before. With that in mind, you might think I had learned my lesson. 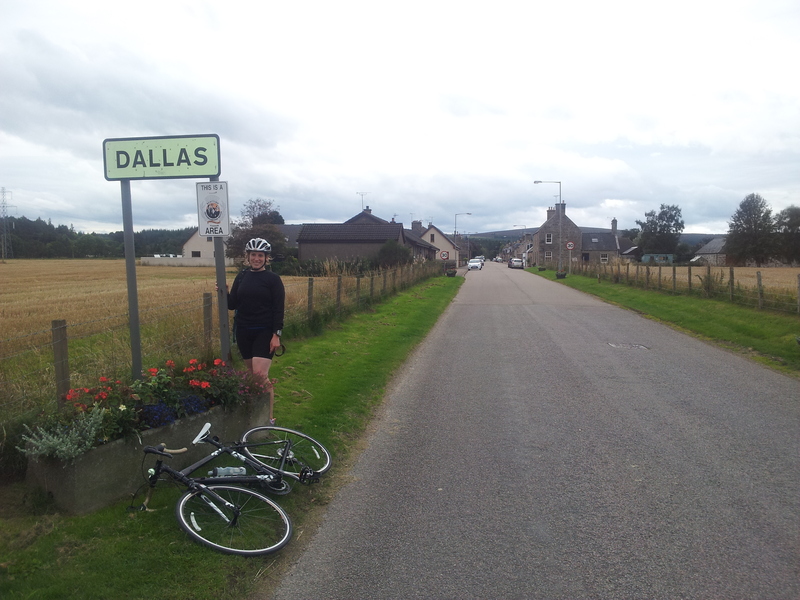 On Friday night, Ian and I (and our road bikes) made our way to Forres once again to see Dylan. After a hearty dinner and a good night’s sleep, we woke up to pretty acceptable weather; there were patches of blue sky to be seen, cats weren’t being hurled horizontally through the air by gales, and opening the living room window did not cause frostbite within seconds. 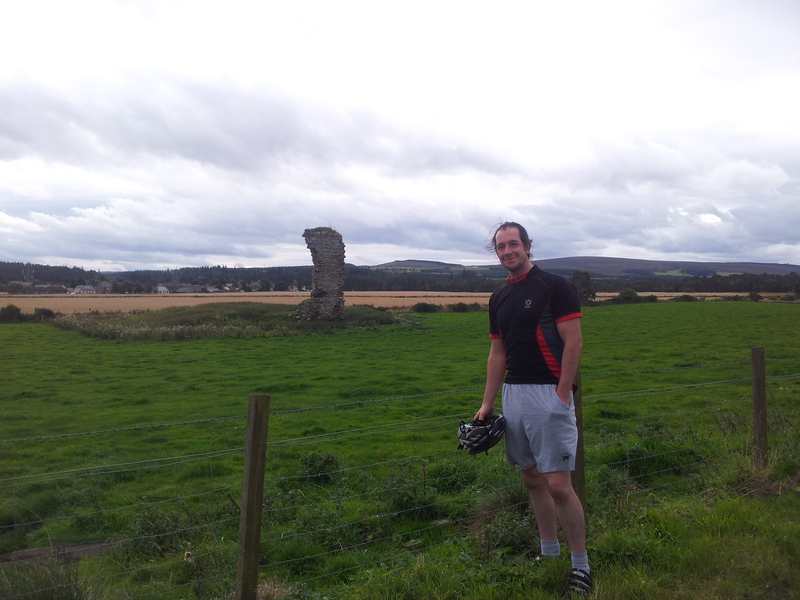 Ian had planned a 66 mile loop from Forres, to Grantown-on-Spey, and then back. With the marathon looming on the horizon, I was initially hesitant to agree to such a long cycle, but Ian ASSURED ME THAT THE ROUTE WAS FLAT, and shrugged it off as a relatively leisurely route, so I agreed to go along. We set off merrily in the sunshine (not to last), and got onto the quiet and scenic back roads as quickly as we could. From a starting elevation of about 25 feet above sea level, I was not amused to watch this number climb steadily for the first 10 miles or so. And then dip. And then climb again. I was even less amused to see this become a recurring theme on our “FLAT” journey, because my heart rate told me I was absolutely not taking part in a leisurely ride. Even less thrilling was eventually realizing we were on a long, exposed road with a strong, chilly headwind with no sign of an end for miles. Oh, and a steady climb, of course. We got a nice view of some impressive hills in the distance, but overall it seemed pretty barren, and I was feeling pretty sorry for myself since my toes were so cold I couldn’t really feel them any more. Finally, we turned off the road, and I watched our elevation start to dip. The trees gave us a bit of shelter from the wind, and it became noticeably warmer the lower we got, until eventually I was enjoying myself again. After about 34 miles, we had arrived in Grantown-on-Spey, where we had planned to stop for a hot drink and something to eat before the slightly shorter leg home. A tuna and cheese toastie and a hot chocolate later, I was a bit warmer, and in better spirits. Knowing the way back was (marginally) shorter than the first section made the ache from pushing uphill on cold muscles easier to bear, and despite a couple of steep sections, the way back seemed like a piece of cake! The sky had become overcast, and the warmth from the sun had pretty much disappeared, but because we weren’t as exposed, and the wind was behind us, it didn’t seem so bad. For some reason, Dylan and I were not begging for a photo next to this historic pile of bricks, and we set off on the last few miles of our loop. Back in Forres, I was keen to get into a warm shower while Ian put the bike rack back on the car and loaded up the bikes. My Garmin read 66.35 miles for the journey with a total elevation gain of over 3,000 feet. Which is over 1,000 meters. Which is the equivalent of cycling up a munro (Scottish mountain) and then back down again. Last time I checked, hiking up a mountain was not flat. This entry was posted in Cycling and tagged cycling, Forres, grantown-on-spey, my boyfriend needs to b schooled on what 'flat' means, Scotland by MedalSlut. Bookmark the permalink. I never understood why some circular runs are uphill all the way. Good luck with your marathon! That looks a lovely route. 🙂 I must do loch ness marathon again as well. Probably my favorite marathon. My bf will ask me run with him and be like yep totally flat loop! Then proceed to trick me into hill sprints. Boys are trouble I tell you. And you’re just resting for this entire week, right??????? ?